Ok, had a play about with the snow/street base for the heavy but still don't like it. 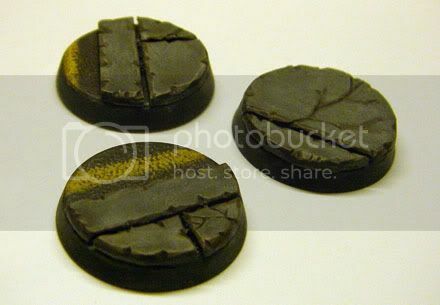 I also made up three infantry bases too. 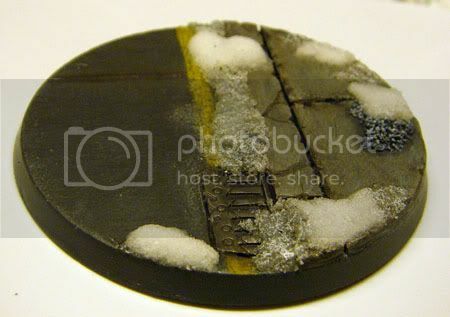 I quite like the bases plain and may leave the snow off all together, what do you folks think? I like it without snow. Something else you could do is put some gloss varnish on the base, to simulate melted snow. I think they look great both with and without snow, but I also think the snow rather critically ties the bases and models together. Otherwise they kinda look like poor chumps who got stuck with the supplies of winter camo uniforms during a hot summer in the city. "Oops, Administratum mixup... sorry, guys." I like the snow as well. 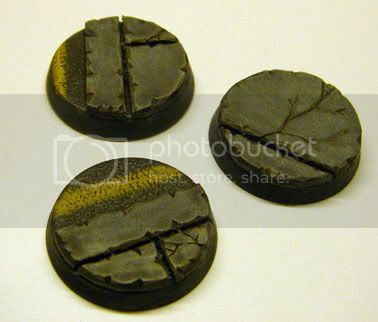 I absolutely love the stone curbs, it's brilliant how a little 3-d texture can make a base stand out. I just found your blog and am an instant subscriber! I need to make a final decision today as i want to make moulds for casting tonight. I am torn between the urban bases above and doing slate "islands" in snow - so the figs will stand on the slate and the base will be covered in snow with the odd stump and folliage poking through. 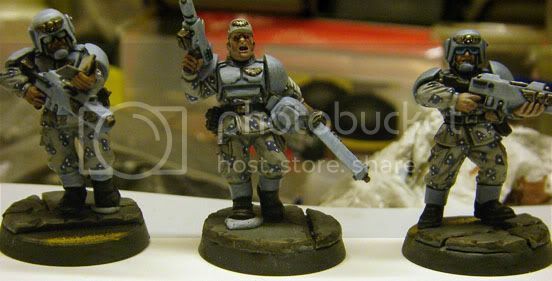 if i had the money, i could mag the bases and do both! ;o) then i could swap the army according to the table i play on!! that would be sweet! but would cost a bit more than i can afford atm, have a commission or 2 coming up soon so maybe. Anyway enough rambling and back to work!